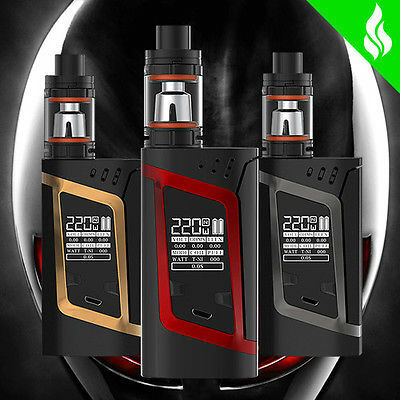 The SMOKtech Alien 220W TC and TFV8 Baby Beast Full Kit is a combination of SMOKtech's most sophisticated and advanced output device with the critically acclaimed and widely popular SMOKtech TFV8 Baby Beast, providing a duo of outstanding performance and value. The Alien 220W TC utilizes the most advanced SMOKtech display and chipset to date, with a range of 6 to 220W, three output modes, and full temperature control, driven by two high amperage 18650 batteries (sold separately) run in series. Featuring a compact chassis, the Alien integrates a squeeze to fire mechanism, allowing for the complete showcase of the industry leading OLED screen. With a display matrix that features a six line and three column display, the OLED screen is unique in that it natively shows each batteries state and life individually, with incredibly rich data feedback overall. Each Alien 220W TC is paired with the SMOKtech TFV8 Baby Beast Sub-Ohm Tank, which redefinesthe compact form factor segment, introducing one of the most capable coil systems and performance profiles available in it's class, reducing overall size as compared to the full sized TFV8 by 30% while maintaining a 3 milliliter tank reservoir and introducing the class leading V8 Baby Coil Family. The Baby Beast Coil Family is based off of the high performance V8 line, retaining much of the same performance profile despite the diminutive size. 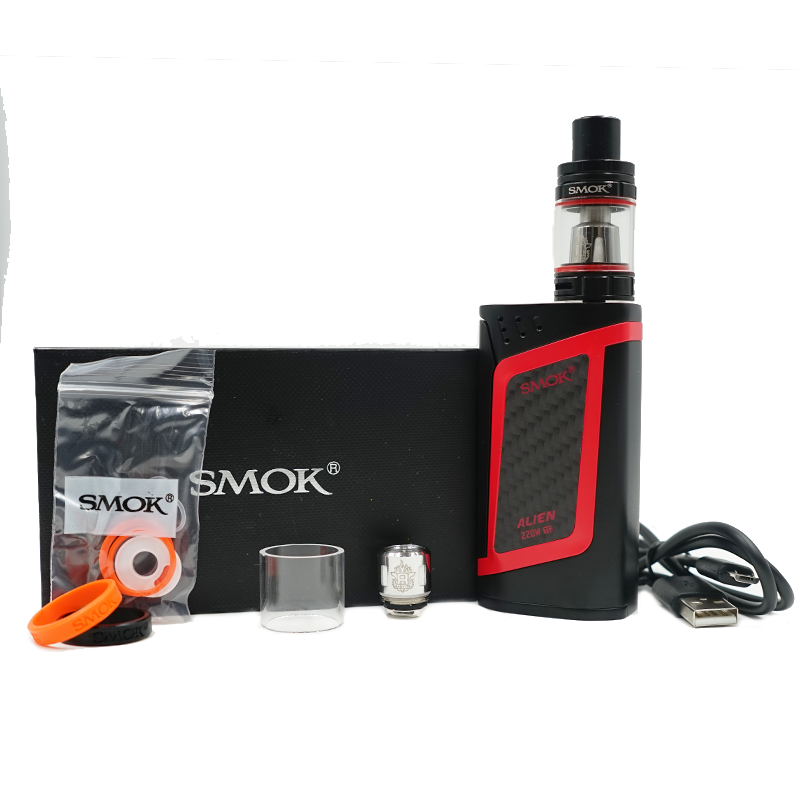 Included with each kit is the dual coil V8 Baby Q2 Core, designed to be run between 40 to 80W as well as the octuple core V8 Baby T8 core, built for unparalleled class performance of 50 to 110W. Packing in an incredibly sophisticated outpust system alongside SMOKtech's most popular Sub-Ohm Tank available today, the SMOKtech Alien 220W TC and TFV8 Baby Beast Full Kit is an extraordinary combination of power, design, and value.